Power plug built-in fuse design, more safe and reliable. 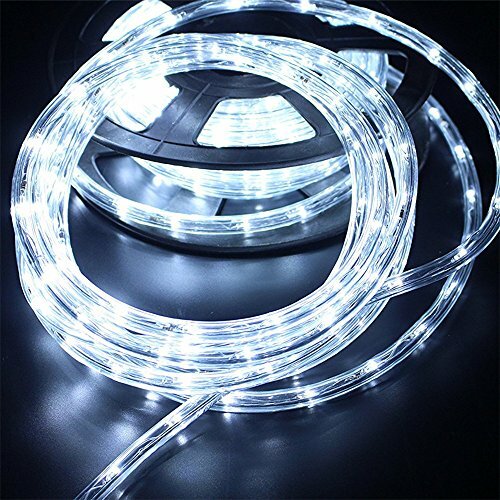 Thick transparent round plastic tube, strong flexibility, heat-resistant, anti UV,energy-saving, durable and connectable. Waterproof ,suitable for indoor and outdoor . Can be easily bent into different shapes. Only can be cut once, according to the marks on length of every 1 meter, do not destroy the rest part, simple operation. 12 months worriless warranty, free replacement or full refund.Wonderful lighting and decorating for indoor and outdoor . If you have any questions about this product by PYSICAL®, contact us by completing and submitting the form below. If you are looking for a specif part number, please include it with your message.